Yesterday this blog was nominated by Jinx the author of Tales from Touperdu, for a Liebster Award. Thank you Jinx! Thanks also to Sandy, the author of Listening to My Heart, who also nominated me for this!! 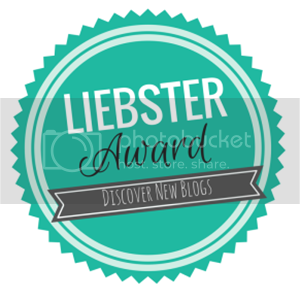 The Liebster Award is a way of bloggers supporting other bloggers. It is similar to a chain letter in that its concept requires it to be forwarded to a certain number of people. 1. 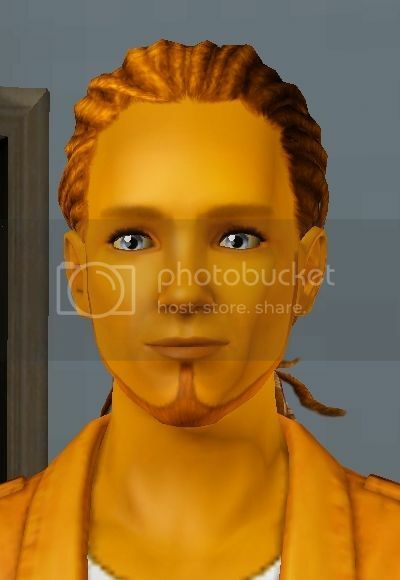 Are any of your sims based on real people? No, surprisingly, I can not say that I have ever based one of my characters on a real person. 2. Do you use simming as a sort of platform for writing text stories? I guess in a way, I started out as just a player, writing never really being one of my strong points, I still don't think it is I just have a very active imagination and love writing it down. I started to play wishacy legacy's and blogged my first one. My narative writing just grew and grew until I found I was writing more than playing. I think my love for the sims game fizzled out quite a while ago and now it is just a prop set for my writing, which has kind of become my new hobby. 3. What part of the world seizes your imagination? Deserts? Islands? The tropics? Europe, Asia, or the US? Probably Islands and the tropics. 4. What era or century do you like to write about? None in particular really, I guess all of my stuff is current day fantasy. 5. What music, if any, do you consider the “theme” to your sims stories? Oh music - lol. Music is what inspires most of my ideas and story lines. I would not say there is a theme music wise, it is wherever the wind takes me and whatever song I am listening to at the time. I listen to every song to see if I can fit it to one of my characters, which usually sparks my imagination off. Most of my chapters have a song behind them, some I show you, some I don't. 6. Sims 2, Sims 3 or Sims 4? Which do you prefer? Definitely Sims 3. I have played 1, 2 and 3. I am happy enough with sims 3 not to even venture into the world of sims 4. I think Sims 3 sims are the most life like. 7. What novels/movies/tv shows do you love? Scifi and fantasy have to be my favourite. Lord of the Rings, The Hobbit, Starwars etc and anything vampire and ghost related. 8. Do you modify your sims’ appearance so they are a bit more ordinary, or do you aim for beauty? I play with mostly born in game sims, how they are born in game is how they stay. 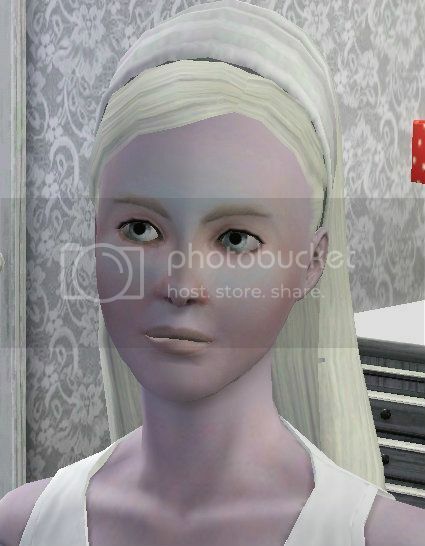 I prefer them to pretty CAS sims. I never try to aim for beauty, the character is more important to me. 9. What is the best place you’ve ever lived? Manchester, England. I was born in the West Midlands and moved up here nine years ago and it is by far the best move we ever made. 10. What kind of snack food do you eat while you’re simming/writing? 11. Are you ever inspired by fiction you’ve read or movies you’ve watched? I would say no, but I guess nobody can say that is not strictly true. Music is my main inspiration. 1. Do any writers inspire you? Blog writers or novel writers? 2. When you have writers block, do you plow through it and keep writing or do you take a step back and take a break? 3. Are there other types of stories you're interested in writing? Some other genre that you'd like to try writing for? 4. Do you do any character development before you start writing for a character or do you figure the character out as you write for them? 5. How much editing do you do for your story? Is it an ongoing process? Do you have many drafts for your chapters? 6. Where is the weirdest place you've ever gotten inspiration for a scene for your story? 7. If you could live with any one of your characters who would you choose, where would you live, and why? 8. What was the thing that sparked your interest and pushed you to start writing your story? 9. If you write a legacy, which is your favorite generation and why? If you write a story that isn't a legacy, what is your favorite chapter and why? 10. What is your favorite line in your story? Why? 11. What is one thing that has surprised you about your story? Has it taken a different direction than you thought? Have readers reacted different than you imagined? 1. If you were stranded on a desert island with one of the sim characters from your story - which one would you like it to be? 2. How long have you been playing the sims for and what got you started? 3. What other hobbies do you have outside of simming, blogging and writing. 4. What is your favourite sim trait and why? 5. Do you think there is an age limit to when you should be playing sims, or an age when it is not acceptable anymore? 6. Where do you get the inspiration from for your writing? 7. What do you love most about the Sims game. What keeps you playing it? 8. How seriously do you take your writing? Is it just for fun or would you like to make a living out of it one day? 9. Which are your favourite world, expansion pack and premade sim? 10. Five sim traits that describe you. 11. Tell me a random fact about yourself. Thank you Julie for the nomination of Primrose! I will not be posting this on my blog just because of time issue's. As you well know I have little time nowadays to be on the computer but I want to answer your questions. I would love to be stranded on an island with...Rocky of course, lol. Although he is not from Primrose so I guess that doesn't really count does it?! I have been playing since sims 1 and my mother got me started. She bought it just looking for something fun to play on her new computer and I completely took over the game! I love to read! I also paint, make jewelry, and spend time out in nature. Family oriented because I love to have big sim families and that trait seems to make your sim a great parent. I haven't let my youngest daughter start playing yet. I told her when she is ten she can play so...yeah I guess I do believe their is an age limit on when you should start playing. However, I do not think you can ever be too old to enjoy pixel people! I let their lives create the story and I just embellish with what I think the motives behind the behaviors are. I don't really know what I love best about it. I guess creating a sim that I love and then watching what they decided to do with their new found life. I also love generational game play because I love to see how the genes of the family carry on and I think that is what keeps me playing. I just do it for fun. I enjoy writing but I never seem to be able to finish a project...which is partly why Primrose is still sitting there so close to the end but not. My favorite world is Moonlight Falls, favorite ep was seasons, and I do not have a favorite pre-made.